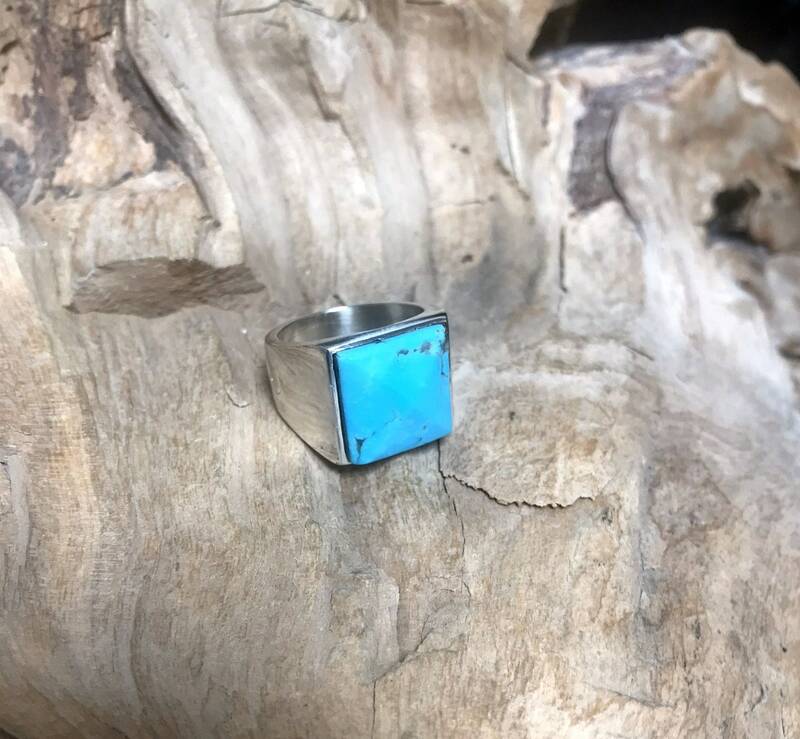 This turquoise ring is made with Sterling Silver. It is a nice heavy ring that will last a life time. It measure 5/8 by 5/8 inch (17mm x 17mm). I can make this ring in your size but is ready to ship in size 8.5 to 9.5. I can make this ring with other stones or your stone.